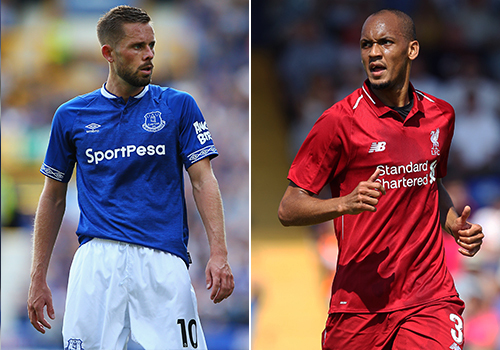 There will be more than just local bragging rights at stake when Liverpool take on Everton in Sunday's Merseyside derby at Goodison Park. The Reds travel to the home of their neighbours aiming to maintain control of the Premier League title race, in the 233rd edition of the rivalry. Brought in from Barcelona in the summer, Lucas Digne has superseded veteran defender Leighton Baines as Marco Silva's first-choice left-back. No Everton defender has made more appearances than Digne's 27 this season and the Frenchman is widely considered to have been the club's standout performer. Solid in defence and good in the air, the Ligue 1 and La Liga winner is comfortable in one-on-one situations at the back, but also loves to get forward. Pacy, with a good eye for a pass, the 25-year-old can provide expert deliveries from the flank and has also taken on corner duties for the Blues. With three assists this season and a Premier League-leading 202 crosses ahead of this game, his threat going forward is clear. 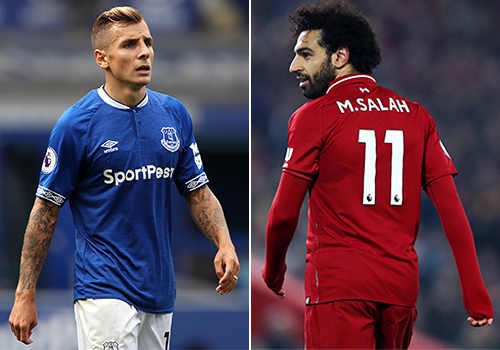 However, Digne will likely be up against the brilliance of Mohamed Salah on Sunday and it's those aforementioned defensive duties that are sure to be put to the test. Salah was in top form during Liverpool's 5-0 win over Watford in midweek and the Egyptian needs just one more goal to become the fastest player in Premier League history to score 50 times for a single club. This battle between two speedsters will certainly be one to watch. Iceland international Gylfi Sigurdsson returned from Everton's 17-day break from Premier League action in top form - netting a goal in each half of their convincing 3-0 win over Cardiff City in Wales on Tuesday. Played in various positions under the previous regime, Marco Silva has restored the midfielder to his favoured No.10 role behind the striker and is reaping the rewards. His silky passing is matched by an eye for goal that has seen him overhaul Eidur Gudjohnsen's record as the most prolific Icelandic player in Premier League history, with 57 strikes. Able to score with precision efforts from open play or finessed free-kicks, Sigurdsson has netted 15 Premier League goals for Everton since the start of the 2017-18 season, five more than any other player. 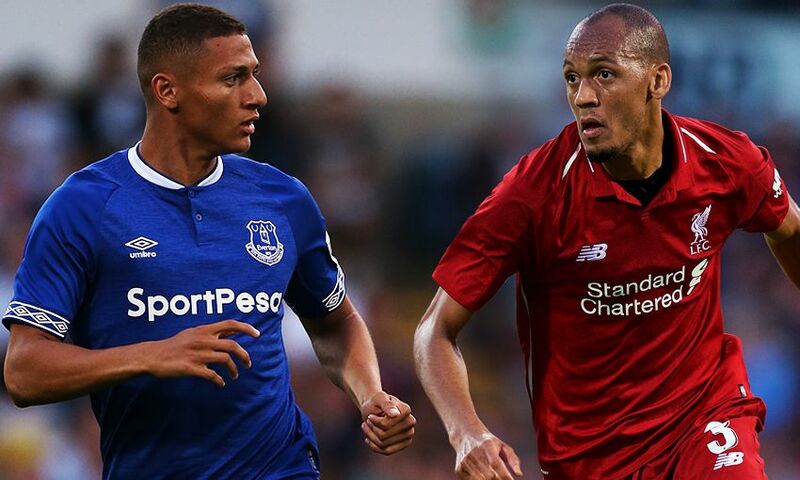 His importance to the Toffees is obvious and the man likely to be detailed with stemming his influence at Goodison Park is defensive midfielder Fabinho. Starting at the base of Klopp's central three in each of Liverpool's last four Premier League games, the Brazilian has helped screen a defence that has let in just a single goal in that time. When he faced off against Sigurdsson in December's clash at Anfield, Fabinho led the team in tackles (six) and helped limit his opponent to just 38 touches. Right-back Trent Alexander-Arnold returned to Liverpool's starting XI for the 5-0 win over Watford and promptly delivered three incredible assists. In doing so, the 20-year-old became the youngest ever player to set up three goals in a top-flight fixture since 1992. The Scouse defender revealed after the match that his advanced positioning throughout the game was part of a masterplan to exploit space against opposition wingers - and that could be a tactical option once again on Sunday. 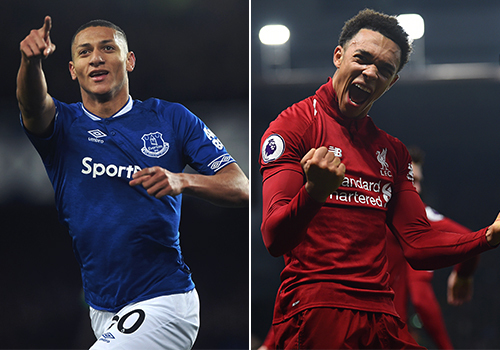 Liverpool's rising star could well be up against Richarlison at Goodison Park. The former Watford forward has netted 10 goals and provided one assist for the Blues in the Premier League this season and will be hoping the qualities that delivered those numbers will be enough to keep Alexander-Arnold engaged in his defensive duties. Regularly played as an out-an-out striker earlier in the campaign, the 21-year-old is now back out on the left where he can cut inside on his preferred right foot.